Stepping things up a bit, the six filters on the opposite page are the type commonly used by enthusiasts and professionals. While you can expect to pay substantially more, these offer the best possible performance. Again, prices quoted are the manufacturer’s suggested retail price before any discounts have been applied – don’t forget to shop around! 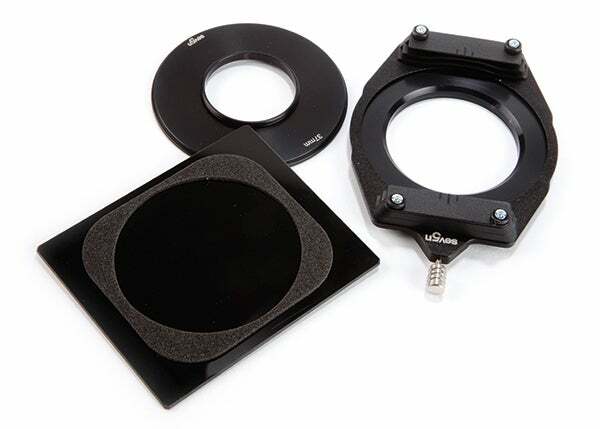 The Foundation Kit contains Lee’s bespoke 100mm filter holder and comes pre-assembled to hold two 100mm-wide filters. An extra set of guides is supplied, enabling you to expand its capacity to three filters. 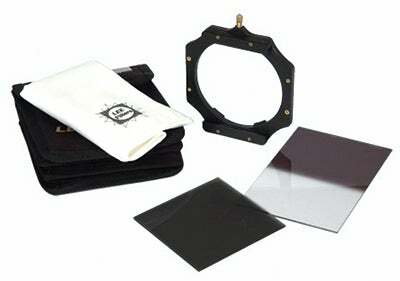 You’ll need to buy an adaptor ring to fit the filter holder to your lens (£20-£40) plus the individual filters. Lee offers a range of filter packs that will save you a bit of money, the pick of which is probably the ND Grad Set (£200). 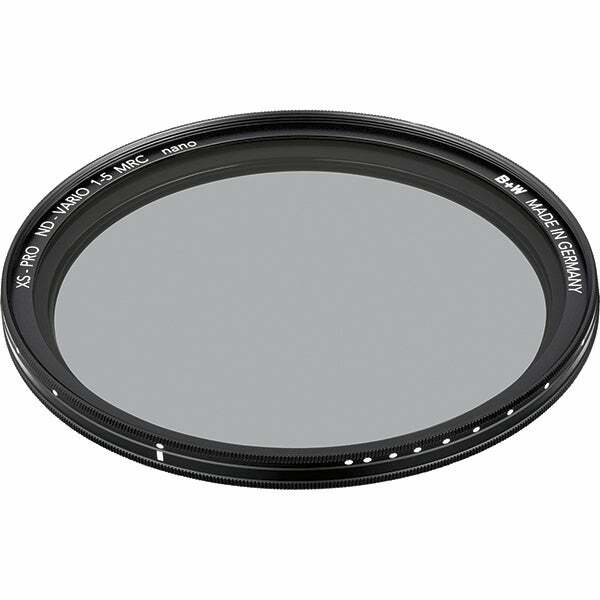 This contains three ND grad filters in 0.3, 0.6 and 0.9 strengths, with a choice of hard or soft gradation options. If your budget won’t stretch to Lee’s 100mm system, then Cokin’s Z-Pro Pro ND Grad Kit is an excellent alternative that offers good performance at a significantly reduced price. 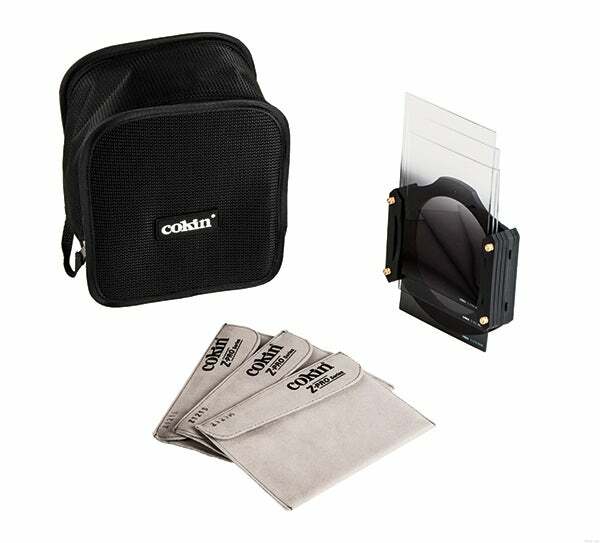 Within the box you’ll find a Cokin Z-Pro filter holder that can accommodate two 100mm-wide filters, plus three ND grads in ND2, ND4 and ND8 strengths. You also get the Z306 filter wallet that can hold up to five filters plus the filter holder and an adaptor ring. In fact, the only thing you’ll need to get started is a Z-Pro adaptor ring, which will set you back about £20. The big selling point of variable ND filters is that they allow you to alter the strength of the filter by rotating the outer ring. The Tiffen Variable ND provides between one and eight stops in a single filter, meaning there’s no need to swap or stack multiple filters. 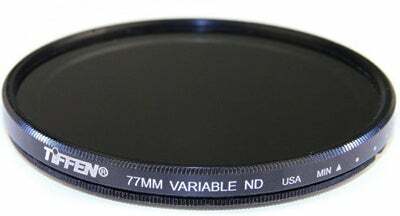 While variable ND filters can be used in exactly the same way as a regular ND filter to introduce motion blur or suchlike, they are especially useful if you own a fast lens and want to shoot at maximum aperture in bright, sunny conditions to help isolate your main subject from the background. The terms ‘Big’ and ‘Little’ don’t refer to the physical size of these filters – both are available for Lee’s CSC-friendly Seven5 format, the DSLR-orientated 100mm system and the super-wideangle-supporting SW150. Instead, the terms refer to their light-blocking power, with the Big Stopper providing 10 stops and the Little Stopper providing six stops. Each is made from high-quality glass and comes in a padded tin. Helpfully, Lee even provides a reference card with each filter that provides the necessary shutter-speed conversion times. Manufactured by Schneider optics in Germany, this premium-grade polarising filter from B+W employs a multi-resistant coating (MRC) that improves light transmission and reduces ghosting. An additional nano coating has also been applied in order to repel dust and water. Optically, the filter is second to none, with the extra-slim XS-Pro mounting ring ensuring that vignetting is not an issue, even when the filter is used with ultra-wideangle lenses. The only issue is that you may be unable to use a lens hood on some lenses when the filter is in place. 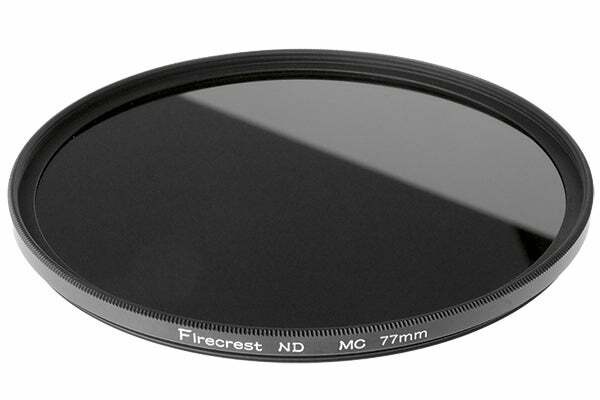 For unparalleled stopping power, the 16-stop Firecrest IRND filter from Hitech is currently the highest strength neutral-density filter on the market. Available as either a circular filter or in square format, the Firecrest IRND is constructed from 2mm thick Schott Superwite glass and employs a carbon metallic coating that produces impressively neutral colour and also blocks out infrared contamination. If you want to take 2-3 minute exposures in broad daylight, then this is almost certainly the filter for you.